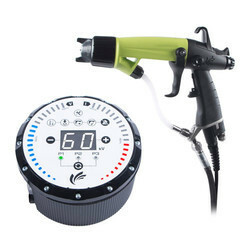 We are offering Electro Static Spray Gun to our client. The air-assisted static eliminator arrangement removes static electricity from the surface of moulded components passing on an overhead conveyer before paint shop. This static charge, if not removed, would attract dust that would stick to the surface, resulting in badly finished paint quality. We have made a stronghold in the market by providing a premium quality range of Electrostatic Spray Guns. Our products are widely demanded by clients owing to its precise design, appealing look and effective usage. 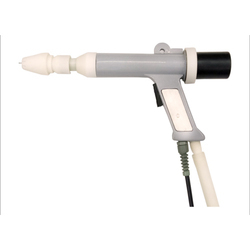 Electrostatic Spray Gun is greatly demanded in the market due to their precise performance and long lasting ignition level.